The first burial in Rock Creek Cemetery was in 1874. 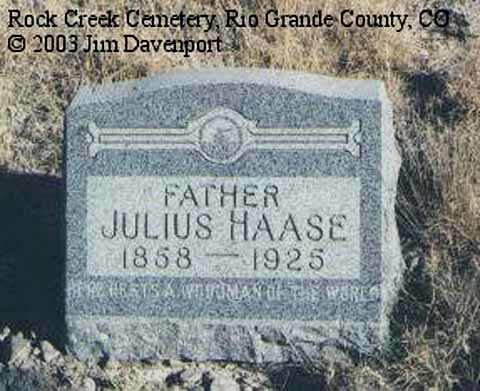 To get to the cemetery go to Monte Vista, CO on US Hiway 160. Turn south onto Broadway (at the stop light and Dairy Queen). Go south a little over 2 miles and there will be a small sign on the west side of the road that says Rock Creek, this should be 2S road. 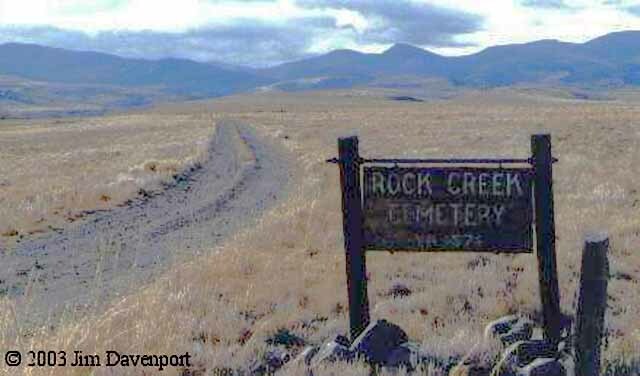 Turn west on this road and go 2½ miles west and then about 2½ miles south and you will see the Rock Creek Cemetery sign, turn west onto the dirt road and the cemetery is about a quarter of a mile.